Gastric cancer is the most common form of cancer in incidence and second leading cause for mortality among cancer throughout the world. Being vigilant about the risk factors can help you lower the risk of gastric cancer. Genetic factors: The likelihood to contract gastric cancer is about 2-3 times higher in first-degree relatives of patients with the disease. 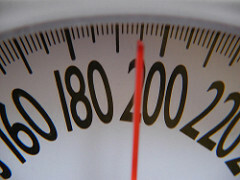 Overweight: Being overweight increases the risk of gastric cancer. Thus, maintaining a healthy weight is much essential to keep away from any disease. Impact of Age: Usually elderly people are immune exhausted. The ability of their body to resist any infection is very less. As a result they are easily vulnerable to carcinogens and succumb to cancer. 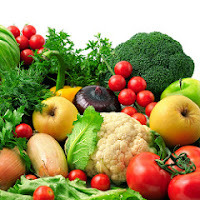 Increasing consumption of fruits and vegetables in the diet. Raw vegetables and fruits exert a protective effect by reducing the area of exposure of carcinogens to gastric cells. A mediterranean diet includes plenty of fruit, vegetables, cereals, legumes, nuts and seeds, fish and seafood, and small doses of red wine. Olive oil is the main source of fat. Lower consumption of milk and milk products are recommended. Adhering to Mediterranean diet has a positive effect on health. Mediterranean countries like France and Greece, Italy, Spain have relatively low incidence of gastric cancer. Studies have indicated that drinking green tea lessens risk of cancer; Green tea is rich in phytochemical catechin. Catechin has an inhibitory effect on the multiplication of cancer cells and apoptosis of the cells. Consuming large amount of dried, smoked, salted or pickled foods leads to the development of stomach cancer. High consumption of meat, refined flour, pasta, bread and buns might influence the risk of cancer. Consuming improperly preserved foods, lack of refrigeration also hikes cancer incidence. Food additives are added to increase shelf life of processed foods, antibiotics or hormones given to farm animals that are reared for meat, pesticides and herbicide in plants, bisphenols that are present in packaging materials are most dangerous carcinogens. 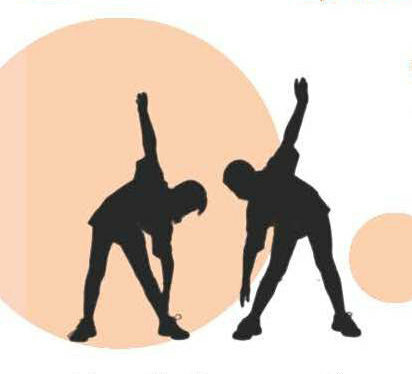 Being physically active: Risk of cancer can be avoided by being physically active. Moderate to intense physical activity according ones physical condition is recommended for 30 – 40 minutes. Sedentary behaviors like sitting for long hours, watching TV and engaging in any screened based activity should be curtailed. Alcohol drinking and cigarette smoking may contribute to the transformation of the gastric tissue into tumor. Drinking alcohol on an empty stomach leads to the damage of the gastric mucosa and the development of cancer cells. Pernicious anemia: People with persistent pernicious anemia develop gastric cancer over time. Prevention is better than cure. Cancer incidence is expected to escalate in future due to urbanization and nutrition transition. Nutritional factors play a crucial role in causing cancer. People with risk factors like heredity, faulty food habits , overweight, sedentary behavior, drinking liquors, smoking , chronic ulcers should be identified and encourage to follow healthy life style. Thus battle against cancer can be won only by sticking to a healthy diet, maintaining optimal weight, promoting physical activity, limiting the intake of alcohol and refraining from tobacco. 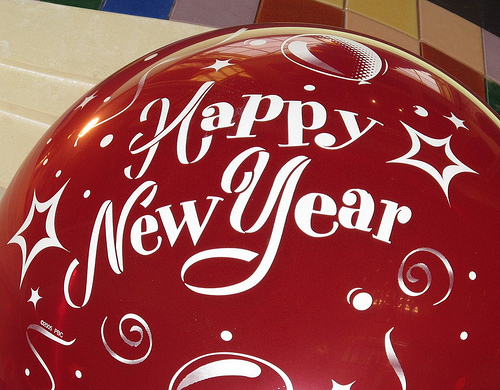 New year's day is one of the most awaited and celebrated occasion throughout the world. We usually celebrate this occasion with our treasured ones and as mass social functions. New Year is a time for new resolutions. But, before making new-year resolutions, one should ponder about the past year resolutions made. How best we implemented those resolutions and how long we were able to pursue them? Let this New Year resolutions be in such a way that when we look at those on new year’s eve, we should be contented that we have persuaded them or achieved them. 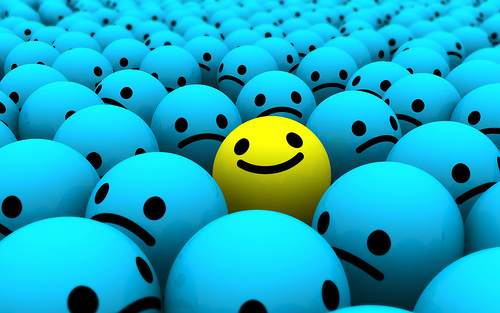 We have to choose resolutions that are realistic, that adds positivity to our life and one that is easy to accomplish. Here is a list of resolutions that will add rainbow to our life both mentally and physically. Lead a positive and focused life. Though these resolutions are simple, they can make a big difference in your life. Follow a diet plan that is balanced and the one that suits your health condition. “One size fits all” is an old adage. Hence your eating pattern should be customized based on your height, weight, food preferences, aversions, the type of profession and socio economic status you fit in to. The powerful mantras for a healthy lifestyle is to include more whole grain cereals, pulses and millets, add plenty of seasonal vegetables and fruits, drink in moderation. Everyone must keep us fit. Regular exercising twice a day at least for 30 minutes makes our body trim and fit. In a situation where everyday a new disease has been diagnosed it is crucial to keep us fit to defend us from deadly diseases. Exercising burns extra calories from our body, makes our muscles relaxed, flexible and supplies abundant fresh oxygen to our brain. Exercise can be in the form of walking, jogging, running, swimming and yoga that we enjoy and cherish. Mental health and physical health needs to go hand in hand for a successful person. Good sleep is important for a sound mind. Growth hormones are secreted only when we sleep. These hormones are much essential for repairing damaged cells and removing toxins from our body. Sleep deprivation leads to difficulty in making decisions, solving problems, controlling emotions and behavior. Spending quality time with family and friends lightens and relaxes us. Keeping pets, gardening, reading books, and listening to soothing music also makes one physically, mentally and emotionally stay balanced. Thus by sticking to this simple, and valuable resolutions one can remain healthy and positive throughout life. “A journey of thousand miles begins with single step”. It is necessary at this juncture to remember the above quote of Lao Tzu to kick start your new year’s resolution. In the medieval times, fructose was much restricted as a source of sugar to man and it was from unprocessed foods like fruits, honey, dates, and molasses. 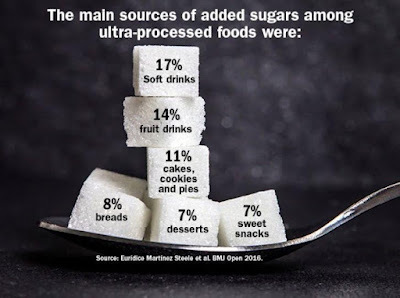 Fructose content of vegetables, meat and milk were also too meager and thus our forefathers had very slim chances of ingesting fructose, until sugar was manufactured in Industries. Source: Euridice Martinez Steele et al. BMJ Open 2016. Fresh fruit contains plenty of fibre, vitamins, minerals, phytochemicals and water that are not present in the natural sugar we consume today. It has been cited by scientists that consuming plenty of fruits is associated with lower body weight and a lower risk of obesity-associated diseases. Phytochemicals present in fruits provide immunity against various disease and helps in treating age related, degenerative diseases. Each phytochemical has a distinct disease shielding property and aids in keeping disease away. Fibre in fruit helps in the slow release of fructose in the blood there by preventing rapid spike of blood sugar leading to hyperglycemia. 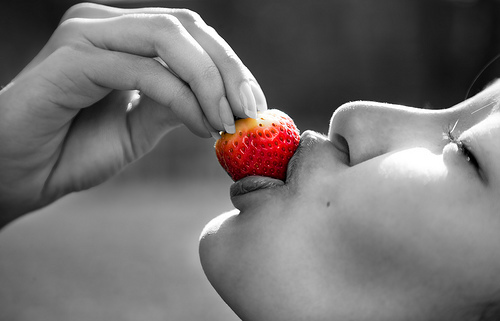 Fruits give a feeling of fullness and limits overeating by provide satiety value. Insoluble fibres are beneficial by producing friendly microbiomes and helps in managing a healthy gut. The water in the fruit is pure and enriched with vitamins and minerals which are indispensable for growth, repair and maintenance of tissues. Unlike processed foods, fruits pass down the digestive system slow and steady and aids in sustained normoglycemia. Natural sugar contains only empty calories. Eating too much sugar leads to obesity related diseases. Fructose in processed foods like sugary, carbonated drinks, biscuits, pastries and sweets comes from HFCS or sugar. Soft drink consumption has increased dramatically in the past few years. In 2014, about 39% adults, aged 18 years and older were overweight. Worldwide prevalence of obesity doubled between 1980 and 2014, with 11% of men and 15% of women being classified as obese. About 42 million children aged under 5 years were overweight or obese in 2015, an increase of about 11 million during the past 15 years (WHO report, 2015). Frequent consumption of high fructose containing foods leads to hyperglycemia. Repeated hyperglycemia leads to insulin resistance and triggers diabetes. Fructose is metabolized only in liver. One of the end products of fructose metabolism is triglyceride, a type of lipid. Excessive accumulation of triglyceride leads to hyperlipedemia, non alcoholic fatty liver disease, cancers, and hypertension. Thus it is necessary to create awareness to the society to limit the intake of processed foods containing sugar. This awareness can be carried out through educational campaign at institutional level, community level, food service outlets, and through individual brain storming. By reading labels in the food packets about sugar content, one can reduce the consumption of high calorie dense foods. Nutrition education can be focused to choose a healthy food that is balanced in all the essential nutrients, to eat more whole grains, fruits, vegetables and low fat milk, to eat less refined foods, salty foods and oily foods.